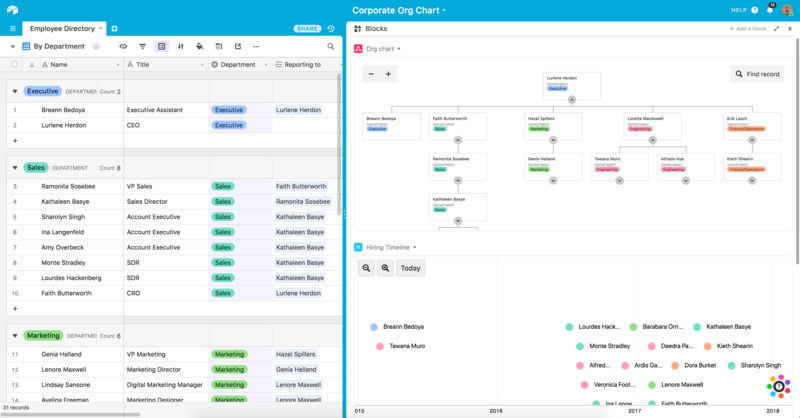 Airtable was founded on the belief that software shouldn't dictate how you work — you should dictate how it works. Our mission is to democratize software creation by enabling anyone to build the software tools that meet their needs. 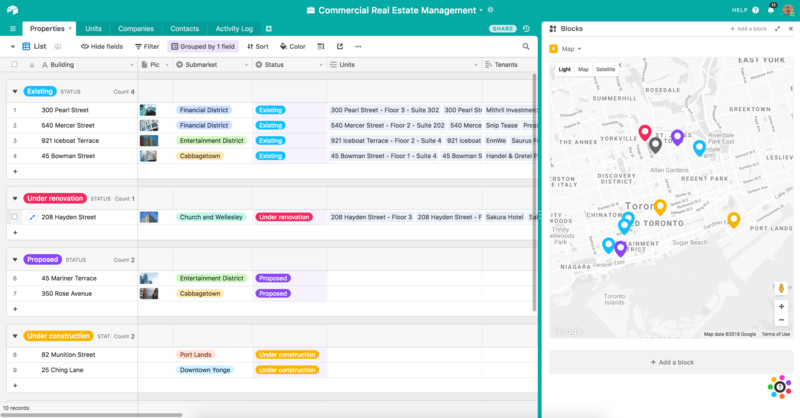 Airtable is an independent, private company headquartered in San Francisco. The company has raised over $62M in funding from notable investors including: CRV, Caffeinated Capital, Freestyle Capital, Data Collective, Founder Collective, CrunchFund, Box Group, Kevin Mahaffey, Brennan O'Donnell, Joshua Reeves, Othman Laraki, Michael Birch, Villi Iltchev, Ben Ling, Eric Wu, Aaron Harris and Ashton Kutcher. Our native mobile and desktop apps make it easy to edit, comment, and collaborate in real time — changes are instantly synced across everyone's devices. 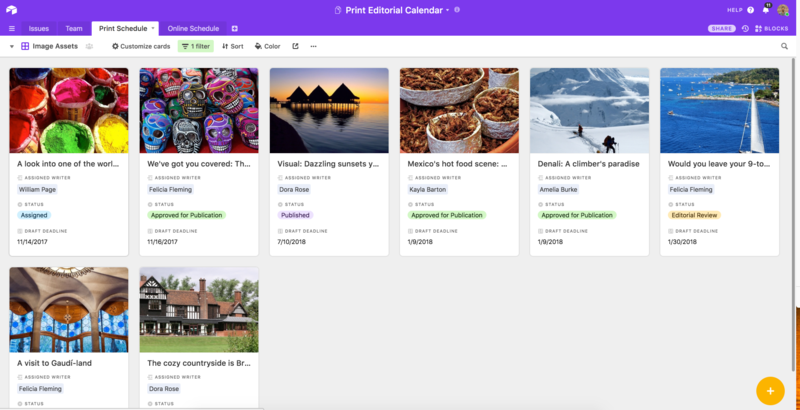 Airtable fields can handle any content you throw at them. Add attachments, long text notes, checkboxes, links to records in other tables — even barcodes. Powerful filtering, sorting, and grouping give you the freedom to arrange your work just the way you like. Choose the right views for your content, and save them for easy access any time. 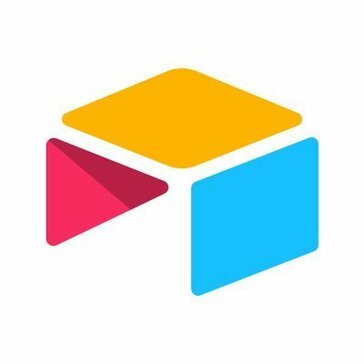 Deeper integrations with other applications and APIs are available as part of Airtable's Blocks platform. Today, for example, you can connect with the Google Maps API to view your records on a map (https://support.airtable.com/hc/en-us/articles/115013405108-Map-block) or use the Twilio API to send SMS messages to contacts stored in a table (https://support.airtable.com/hc/en-us/articles/115013405428-Send-SMS-block). The goal of the company is to solve for all potential business cases right away by creating a what-you-see-is-what-you-get one size fits all platform. 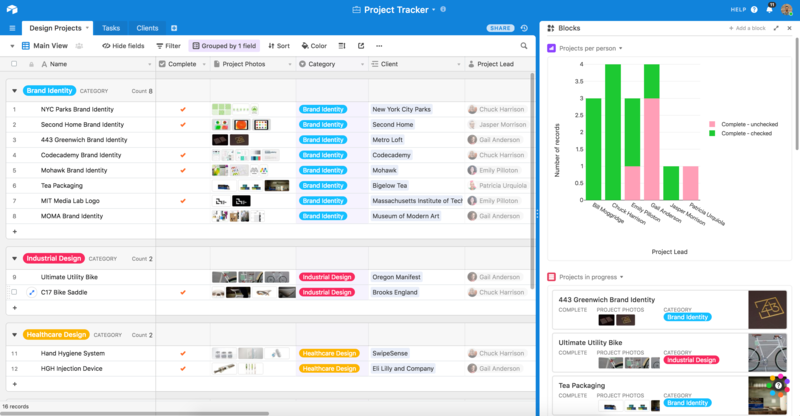 Unlike our competitors, at Airtable, we expose the full value of a relational database like Postgres to the end user, but we also give them something equally but more important: the interface on the top that makes the data immediately visible. Rather than overengineering a product that doesn't quite meet the needs of any business user, we've created a platform that doesn't assume we know exactly what are the unique processes, workflows, and needs of a company.